Bronze AE4, 16mm, 1.33gm, issued AD 330. Siscia mint. Rev: GLORIA EXERCITVS (ΓSIS in ex. 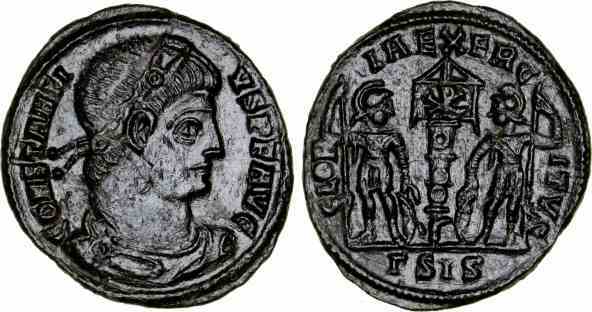 ), Two soldiers flanking one standard bearing chi-rho. References: see Sear 17428, see RIC 85. This combination of obverse legend and reverse is missing from RIC.